General-purposed TIF Operation panel (with software components built-in) ｜Opton’s products｜Opton Co., Ltd.
●The market-latest NC Device of Opton original make. Highly-proved-in-the-market edition for NC machines of new or remodeling application. ●2000 plus software parts in C-language are built in the operator panel. 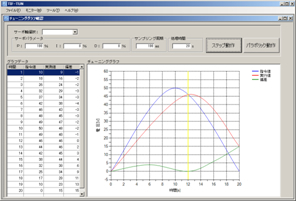 The software linkage is exercised by TIF-SOFT in the PC. 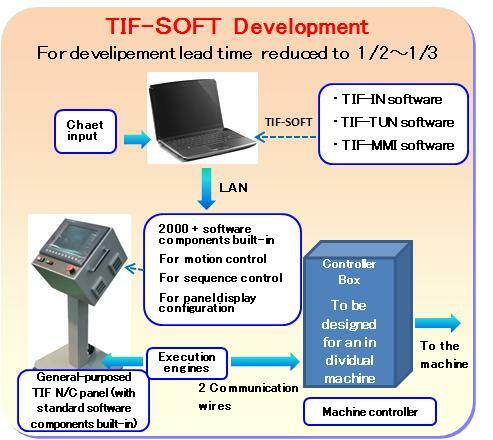 ●Once the time chart or flow chart being entered into the ＴＩＦ－ＳＯＦＴ Development tool, all necessary software parts are automatically called for NC motor starts and stops, inter-axial simultaneous control. Sequence ON/OFF, and executes tuning and configuration layout of the operator panel. ●For new application areas of NC machines other than of Opton-brand, the sales in industrial market is scheduled to start in direct route, through distributors and/or controller builders upon our business feasibility is completed shortly. 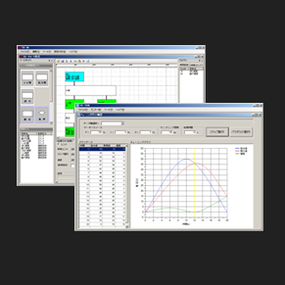 The TIF Operator Panel harbors varieties of software components that have been created and refined through the years-long experience of building software know-how with Opton's original machines of pipe benders, 3D profilers, Hydro-formers, etc. The TIF operator Panel is the general-purposed NC controller (or varieties-of-engines-built-in hardware) for industrial machines. No NC programming know-how is needed by an operator as the oputimum software engines are pulled out for automatic creation of necessary control programming simply by putting the data of time-chart or flow-chart in the TIF-IN (the engine to create controlling programming). 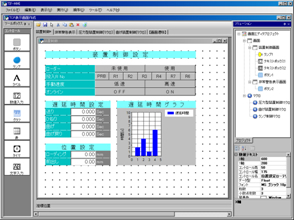 The screen layout of data-entry, operation switches and lightening are configured by activating of TIF-MIMI (the engine to configure the operation panel display). For servo tuning of the machine, TIF-TUN (Servo tuning engine) executes high-precision type of performance. Parameters settings are executed for the software components which control servo axis, simultaneous motion, cylinder/servo motor and I/O. This suites when machine motion is programmed based on the flow chart. This suites when machine motion is programmed based on the time chart. Operation screen is built with allocation and setting of data entry, location and setting of press button switching, and lamps. Variables of the components are installed. This works for tuning of the servo-axis. Opton original NC with the latest and leading-edge version The performance are fully appreciated in the markets with its installation made to all NC machines ex-Opton, in original or renewal employments. By entering either of time-chart of flow chart in the TIF-SOFT development tool, all necessary software components are automatically selected to execute tuning and display setting of NC motor ON/OFF, synchronous axial control of drives and sequence ON/OFF control as well. 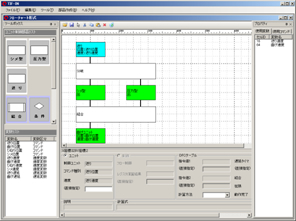 By configuring the display layout, relevant software linkage is automatically executed between operation and control. This controller is employed to all Benders, 3D Profilers, Hydro-formers ex-Opton as its original or renewal feature. The performance increases remarkably higher market reputation for easier iconization, speedy control, LAN, Failure-finding and customization. ●This controller is employed to all Opton benders, 3D profilers and hydro-former series. ●This controller is employed to all renewed benders. 20-years old machines, now with this controller to be installed, can be refreshed to the newest version with easiest operation and highest performance currently available in the markets. Further possible enhancement of performance is expected with collaboration of 3D profilers in line and with world-wide communication being facilitated. Extended service life may be expected as a top quality machine for another decade or even longer.